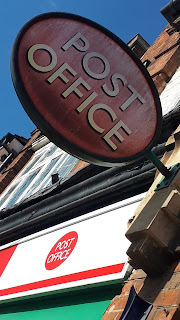 Day 6 write-up: The Post Office speaks! It is a massive shame it has taken so much taxpayers cash to get here. It is borderline pathetic that the only reason we are here is because of a campaign by a few committed individuals and ten million-plus quid which has been chucked at a bunch of undoubtedly talented lawyers. What we saw in the witness box today was two ordinary joes from the Post Office talking relatively freely about the way their organisation operates. You can read the blow-by-blow tweets from Day 6 here. The first witness was Nick Beal, Head of Agents’ Development and Renumeration at Post Office, the second was Paul Williams, Restrictions Advisor for the Post Office. I have been told (and I don't set any store by this) that one of the problems with the Post Office is the people who are there stay there. As a result, very little fresh blood comes in at any level, and the way things are done, remains the way things are always done. Mr Beal started his employment at the Post Office as a counter clerk in 1987. Mr Williams started his employment with the Post Office, also as a counter clerk, in 1979. Now - don't get me wrong, there is nothing wrong with being a lifer. Terry Wogan, at his Radio 2 leaving lunch said "the British have a tendency to confuse longevity with merit". It was a joke. Mr Beal and Mr Williams cross-examination was conducted by the dashing Patrick Green QC, and it offered up extremely useful insights into the way the Post Office operates. a) The contract Subpostmasters have with the Post Office is weird. It is a sort-of freelance, sort-of employment, sort-of agent, friends-with-benefits kind of deal, which is all touchy-feely-buying-into-the-family-kind-of-vibe at the outset. b) The obligations of the Subpostmasters under the various documents they are given before they sign up to the job, as they take over the job and as they try to keep on top of the job are many, varied, confusing and all legally enforceable. Both Mr Beal and Mr Williams were candid on this - there is a lot of fluffy bumf around for potential Subpostmasters when they are looking to sign up (let's call it the "courtship" phase), and there is a lot of quite serious stuff that some of them may or may not get to see (once they get into the "operational" phase) but when things are going well, both the Post Office and their agents work hard to do the right thing by each other. Mr Williams was particularly impressive - he said he was certain potential Subpostmasters would get their full 114-page Subpostmaster contracts at least on the day they joined as Subpostmasters, and likely before they'd committed to joining the organisation. He said he introduced better recruitment and HR standards as the Post Office was "teased away" from being a government department to a limited company, and he was certain his department always helped potential and newly signed Subpostmasters when they needed assistance. He was confident in his department and he was very clear that Alan Bates, who is the man behind this group litigation, would have got his contract (Mr Bates denies it). By the time Mr Bates was hired, says Mr Williams, it was standard practice to send the contract out with the usual stuff and, being a 114 page document, it was not the sort of thing you would miss from a pack you are sending out. Although Mr Williams didn't personally send Mr Bates his contract, he was sure his staff would have sent him his contract. Mr Green, for the claimants, probed and pushed with both Mr Beal and Mr Williams and there were times Mr Beal didn't know or couldn't remember why things were like they were. There were also times Mr Williams was quite candid in saying things could have been better. I get the feeling that Mr Green was saying: "it's a bit confusing and disorientating when you look at all these terms and contracts for everyone - and you guys are the experts!" He landed some blows, but not many. Both Mr Williams and Mr Beal came across as people who wanted to do the right thing at all times. The National Federation of Subpostmasters, once an actual trade union, now described as an independent organisation, is anything but. It is wholly in the pocket and pay of the Post Office and it is contractually obliged not to do or say anything which could do anything "materially detrimental to the Post Office". Mr Green cited the NFSP's grant funding agreement, which did away with membership subs and made the NFSP dependent on the Post Office for its existence. The strings are not hidden. This is from the Grant Funding agreement posted on the NFSP website. In court today Patrick Green reminded Nick Beal that the Post Office has described the claimants' litigation (in its skeleton argument) as an "existential threat" to the Post Office's business mode. He asked: "does this action fall under the terms of [the NFSPs] Grant agreement?" Mr Beal did not know. "Mr Green, whether your point is that the NFSP are contractually prevented from supporting this litigation, or because they’re being paid too much money by the Post Office to not support it, you’ve made your point." I've made my own comments on this issue in a separate blog post. There were a couple of procedural moments of interest. In the morning session, Mr Patrick Green, QC for the claimants, mentioned in passing he had been disclosed some important documents by the Post Office the previous evening. The judge stopped proceedings to query this. Just before lunch, the judge asked about this situation again. He asked Mr Green when his legal team requested the documents, what they were, how many they were and when they were disclosed. Mr Green said it was 350 pages worth of documents, disclosing 45 different email chains. The judge bridled (he has given numerous warnings to both parties about the methods they are employing to conduct this litigation). In what I would describe as a very firm manner, Mr Justice Fraser said he was not prepared to deal with a case of this importance in which obviously necessary documentation was being disclosed so late. It was not acceptable. He then ordered a witness statement from the Post Office solicitors to be given to him by 4pm tomorrow explaining why it took so long to disclose the documents. I expect Womble Bond Dickinson can adequately explain the delay and look forward to putting their explanation to the judge, in the witness statement. And the end of the day the judge moved on to the dread reality of a third trial in this case. He is pushing for it to happen before the summer. Both the claimants and the defence QCs want it after summer because they want to go into a "mediation phase" after the Horizon trial (confirmed as beginning on March 11 for 5 weeks). Now I don't specifically know what this mediation phase involves (ie who will be mediating what and on what grounds) but the QCs seemed to think the amount of time required to make it successful could push the third trial into September next year. The judge was not taken by this and noted 5 June as a good date for the third trial. He suggested this trial might be on the individual circumstances of a few ("less than six, possibly just two") claimants, not necessarily even those who are lead claimants in the current trial. The judge suggested this would allow markedly less prep time that the Common Issues trial (the current one) and the Horizon trial (March 2019). The less prep time, the more mediation time. The QCs weren't keen. This idea of mediation and its timing (after two trials...?) is new to me so I will try to find out more. I'll be back at 10.30am on Monday morning. Here is an unroll of my tweets of the day, which can either be viewed on the Thread Reader app, or in their original form here on twitter. The version below has been modified for ease of reading and formatting. Yesterday’s write up of proceedings is here. Mr Beal has been sworn in. He is the Head of Agents’ Development and Renumeration at Post Office. PG asks about his witness statement in which he says he speaks about PO practices which happened before he started based on his own experience. NB was a manager of crown post office between 1990 - 1996. NB says his branches were computerised with paper records alongside it. Crown offices in the 90s used Echo Plus. PG says this contrasts with agents in branches using paper-based systems. NB says there was a pilot computerised system in the Thames Valley in the 90s which was run alongside a paper-based system. 1996 - 2001 NB became a manager involved in the analysis and design of operational procedudres in advance of the rollout of Horizon (H). PG wants to know if this was changes to agents or PO or both. NB says both - it was about way transactions were conducted. … with a view to automating them. NB was a about product-facing, not what the agent would see on the screen. Judge asks what product-facing means. NB says work related to products rather than back office. Accounting process is non product-facing. Which he didn’t do. Still going through NB’s cv - in 2001 to 2004 he was Head of OPerational Finance and Planning. Head Office. Just to be clear PG - Patrick Green QC - is representing the claimants and this is a cross-examination. PG points out that PO was making losses whilst NB was doing what he was doing and he was trying to improve performance. PG says one of the issues PO had recovery of losses after termination. NB says it didn’t fall within his role. NB Yes I would say that. PG now taking NB through Angela van den Bogerd’s witness statement. Got to the point in AvdB’s WS where she says handing over H data to SPMRs would not work. PO operates the system on behalf of the SPMR. PG asks NB if he’s happy in his job and likes the PO. PG now taking NB through the bumph they use when they recruit SPMRs about welcoming them into the warm embrace of the PO. Now talks about the booklet’s setting out of the training and support they might receive. … surprising about this expectation at all? PG Now “we care for all our employees, SPMRS and we cherish ourplace in the community.” is that a fair expectation of how the PO should behave? ongoing training assessed by retail manager. PG says not surprising this? mentions NB agrees. We supplied the booklet, so yes. Just a note - unless something in these tweets is in quotes it is not a direct quote - it is a paraphrase. … and you can get from us. Judge is querying NBs area of responsibility. PG asks if the contract changed when H was brought in, as it was quite a big change on the ground. NB says he believes the contract broadly stayed the same. PG raising NB’s WS note about changing the contract for the NT programme (network transformation), “the core principles of the agent being responsible for running the branch, employing assistants, completing the accounts and liability for losses remained the same"
NB goes to p16 of NB statement in which is makes quite clear that the SPMR contract is standard with no scope for individual negotiation. PG notes contract says SPMR can make a written response to any allegations of wrongdoing against them and can request a meeting with an area manager and be accompanied by a “friend”. … appeal against termination in 3 months notice.” but the SPMR can appeal against SUMMARY termination. PG making clear the distinction and saying it is the same in both old and modified contract. PG says there is a difference between the contracts in that one does allow an appeal against 3 months termination and one doesn’t. PG reason I asked you about this is that you’d have to be broadly familiar with the standard and modified contract and YOU didn’t know about the difference between the appeal procedures between the two documents (standard and modified SPMC). PG asks about an internal guidance document on termination on notice and how to word the letter. He says the doc fails to draw attention to the distinction between the right or lack of appeal in the modified and standard SPMC. PG drawing another distinction between standard SPMC and modded SPMC about payments made if a branch moves. NB agrees the difference exists. PG has just described the NFSP as an independent organisation which provides support to SPMRs. over the NTC and notes the liability for losses clause and how it changed. PG says although the language changed, the substance of the issue didn’t. PG now asking about 12 month notice period in NTC. That was a change in favour of SPMRs. On paper. judge says I think you were asked about the contract. NB I think it gave them clarity on their responsibilities and allowed them to focus on running their business. PG is looking at termination clauses in NTC. PG so it’s right to say that the right of appeal was completely removed? PG goes back to the standard SPMC p1 - 23 contain general terms of SPMR appt. NB gives explanation of the various documents an SPMR would expect to find in branch and how the rules would be contained therein. PG Discussing self-reporting obligation in new NTC. Did you know it was new? NB yes but no longer paper copies since 2013. PG are these instructions or advice? NB don’t know I’d have to read it for sure. PG talking about a specific "summer sizzlers” promotion. Is that an obligation on the SPMRs to do this? NB I would say it was yes. I would also say if they failed to do this it wouldn’t be a contractual matter we would take up with them necessarily. PG notes an example where SPMRs are told not to tell customers about a new promotion coming through. is that a contractual obligation? PG asks what if someone comes in asking for currency for a holiday and is told - best wait till next week. Is that a breach? PG would it have to be self-reported? … we would take it up. NB it says “material breach” i would not consider that a material breach. The obligation in branch focus was general to stop competitors from finding out about a new promotion. the specific example you just gave me is hypothetical of course, but the way you’ve explained it - no I would consider that a breach of contract. we break for 10 mins. PG taking NB through his evidence re the list of changes to the PO contract down the years that he provided to the court. PG asks where it came from. PG picking up a list provided by WBD - then BD - to a previous request and the one NB provided. Broadly the same, aren’t they? PG thinking now - any material variations in that period? NB …. I can recall. QC points out a change wrt to a change in procedures which introduces financial penalties and training for SPMRs at their cost if their standards drop below requirement. … obligations set out over the past few months in Operational Focus. PG is this the successor to Branch Focus? I think. There is a lot of to-ing and fro-ing on documents I can’t see. We’re now looking at a branch standards booklet. When I say looking, they are. We hacks are just listening. I’m sure we’ll get to QC’s point soon. QC These instructions are referred to as branch standards. Is that all of the instructions or some of them? QC PO could require SPMR to pay for compliance training, including travel, where standards have not been reached. QC I understand it is a request for payment, but is it a postal instruction? QC asks him to look at memo from 8 Feb - where PS is being told request for payments will be put on hold whilst an investigation takes place. Now that - says QC - is not an instruction - it is a notification? … to deduct the amount outstanding from your future remuneration. Is this a Postal Instruction? NB it’s an instruction to her to pay the debts in the context of her contract. I don’t know whether you’d call that a Postal Instruction or not. So I don’t know. sorry - NB says … requirements of space and services on offer is different. QC notes in the pleading that PO can change SPMC with and without the agreement of the NFSP. It is admitted that there is an implied term in the contract that would stop PO from changing the contract dishonestly or in an arbitrary capricious manner. NB says all changes to contract are discussed with the NFSP - they won’t agree to all of them, but we still discuss them. QC says the distinction is important. Changes with agreement and changes without agreement. QC says admission by the PO that it won’t change contract dishonestly capriciously or arbitrarily is confined to the clause where there is NO agreement with the NFSP. All agree that such a situation would be ridiculous. NB I would not expect any changes to be made dishonestly, capriciously or arbitrarily about anything. Both QC and NB both agree it would be totally ridiculous for the PO to make any dishonest, capricous or arbitrary changes to any contract, whether it has the agreement of the NFSP or not. THEY HAVE SPENT ABOUT 5 MINUTES ON THIS. QC you explained in your WS the role of the NFSP - an independent org repping SPMRs. They were as a trades union? QC draws attention to AvdB’s WS assertion that NFSP supports PO’s assertion that H is robust. And it supported the NTC. QC what about the helpline? QC draws attention to NFSP purchase order for £250K to PO for activities in support of network transformation. QC says “bear with me and I’ll… make it good, my Lord"
NB well actually if there is any resignation and the PO wishes to continue services, there is no 26 month payment from the discretionary fund. QC notes Post office and NFSP signed a 15 year contract which mandates NFSP to serve all SPMRs. NFSP will get millions a year in exchange for dropping its membership subs. QC says NFSP was negotiating for its own survival whilst negotiating the NTC contract. QC they’re linked, aren’t they? QC would you think that a SPMR would expect the NFSP to be doing this whilst supposedly representing their interest? Judge has asked about a statement made in passing by PG QC about documents he got last night. Judge wants to know how many documents he received last night - 350 pages of emails in 45 different changes. Judge says he is not prepared to deal with a case of this importance which includes obviously necessary documentation being disclosed so late. Not acceptable. Orders a witness statement from the Post Office solicitors to be given to him by 4pm tomorrow explaining the delay. We’ve had lunch. We’re now back to JFSA QC Patrick Green’s cross-examination of Nick Beal, Head of Agents’ Development and Remuneration at the Post Office. Which must be a historic first by anyone’s reckoning. QC asking if he was involved in the decision as to whether to grant the FOI. NB says he must have been. QC says but at the time of the FOI there was no indication it would be published in the future. mentions and he was in court yesterday, but is not in court today to hear is name being discussed. Mark Baker asks in a letter for the date on which the decision to publish the agreement was made. QC you didn’t give it to him - why not? mentions Judge asks in plain English how that is possible. NB explains the process by which the decision was come to. mentions Judge is starting to query why PG QC is pursuing this line. QC notes a line in the agreement with the PO whereby the NFSP is prevented from doing anything that could materially harm the Post Office. mentions QC so does this action fall under the terms of that grant agreement? mentions QC goes into the implications for the NFSP’s grant if it were to support the litigation. It would essentially give the PO the right to claw it back. QC says but you wanted to keep those clauses about bringing PO into disrepute confidential? NB No. We always intended to publish the document. mentions The point PG QC is making is that the NFSP is in the pocket of the PO. QC goes back to a specific case where an SPM wants help from the helpline and cannot get help, so they turn to the NFSP for assistance. SPMR wanted to sell her office, and wanted confirmation from PO about its future under the NT - QC notes that the NFSP rep in the letter is calling the helpline the hell-line. NB l and p are quite close to the keyboard. QC there’s a dash between hell - and line. Advice eventually given that they either resign and lose their termination payment or they wait. Judge points out that this point was accepted by the witness this morning. Judge says well I don’t think it’s a controversial point, but we’d better find out. PO QC stands up and asks a couple of questions about the date of introduction of various contracts. Had the NTC contract started being used in 2013? PO QC asks what is that referring to? NB it's referring to the revised terms - specifically the amount of compensation leaving SPMs will get. PO QC so this was about how the NTC was going to be implemented as the terms of the contract itself had already been agreed? NB I believe so, yes. Sorry - drifted off there. The PO QC drew NB’s attention to a document which in NB’s mind shows the intention to publish the grant agreement with the NFSP was always intended. Judge now asking if he knew about the difference in the drafting between the liability clause (responsibility for losses) until it was drawn to his attention? Judge how would you express it now? Judge onto witness statement - point put to you they were very similar to those compiled by the PO’s legal team. Why is there a 9 year gap between variations. Judge okay thank you you are free to go. New PO witness, Paul Williams, being sworn in. I think he dealt with the appointment of SPMRs in the 90s. Maybe, maybe not. Mr Williams is the “Restrictions Advisor” for the Post Office. In 2000 Mr Williams moved into Subpostmaster contract role. PW I’ve been doing it a long time - they are rather long documents but you get to know them quite well. PW confirms they did but he did not have any personal involvement. QC showing PW AB’s letter of employment. It says: "please find enclosed with this letter two copies of list of the main conditions attached to your employment. Sign one copy and return it to the agency recruitment manager." QC picks up on “conditions of employment” term and note the clause which gives an SPMR 75% salary in the first 12 months. Explain that please. QC so the SPMR might be entitled to think..
… their employment might be a little more long term than 12 months. QC is it fair to say there are sensitivities around calling SPMRs employees? PW and we sincerely believe they are not employees and it’s important to be precise in our language. We had a break, we’re back. Final session of the day. Paul Williams still in the stand for the PO. PG QC questioning him for the claimants. QC “the incoming postmaster WILL provide a personal service of not less than 18 hours services a week” these are conditions of appointment. This is contractual, isn’t it? QC This is an internal doc on what has been agreed with Mr Bates. … record of an agreement held by the SPMR that they are providing a personal service. QC but it doesn’t say that does it, it says it contains conditions of your employment, but nothing about the SPMC which it would, if it was included. And that’s a standard letter. PW - no. by this time - by AB’s - time - it was standard practice to include a copt of the contract in the letter of appointment. QC and it had been for years? QC why would it be satisfactory to ensure that an SPMR would only get their contract on the day of their employment? PW says its’ possible some areas around the country weren’t doing it - that changed when we started recruiting nationally. In the same way the PO QC was very keen to make the judge believe all the lead claimants did get their contract, Mr Green seems to want to shed doubt on this. I don’t know the law in this area so I will stay out of it. Sorry. Back to the discussion. PW has also admitted they could have done better in making some of the documentation or contractual responsibilities clearer to SPMRs as the Post Office was “teased away” from being a government departement to a limited company. QC notes there were doubts expressed by auditors from the early 90s about the ability of SPMRs to understand all their contractual responsibilities. QC notes that in the pre-Horizon days the 12:12 clause exists - SPMRs by error negligence of them or their assistants they are liable for all losses in branch. Computer is having its afternoon doze. Am going to reboot. Patrick Green QC has gone back to Pam Stubbs’ case - asked if PW had anything to do with her taking on a Post Office the day after her husband died and the document she signed that day. QC reads from letter of appointment of Pam Stubbs “PO will endeavour to support you through every stage of your appointment”. That was a standard letter wasn’t it? PW on behalf of SPMR no - but they had every right to. PW on behalf of Post Office no - but they had every right to. QC the death in service policy that you described was not followed in Pam Stubbs’ case. QC she didn’t say you weren’t sympathetic, it’s that there was no application completed at all. … by a more formal process, albeit a truncated one, but there isn’t really enough information here to comment at all. PO QC stands up and goes back to the internal memo showing that Alan Bates was going to provide 18 hours personal service. Was it a stipulation or a notification? QC what if he didn’t do it, was it a breach of contract? QC How big is the contract? QC how obvious would it be if it hadn’t been put in the pack? Judge wants to know about his use of the word evidence wrt to a specific question and PW confirms he’s talking about contemporaneous document, not claimant evidence. Rules, Postal Instructions and PWs admission that the language of the documents might not be clear enough. “lots of bits of paper"
Judge asks was he ever involved in an effort to simplify or codify all the documents into one document. Judge says he wants her done with by end of Tuesday. Mr Green protests as AvdB covers such a huge area. Judge points out he then has 7 witnesses for the next 2 days. Says there will be a ‘hard start” with the PO’s Mr Howarth on Mon 26th. PG agrees. Judge now moves on to third trial. PG stands up and says something about shifting the Horizon trial. Judge has already ordered this should be a 5 week trial starting 11 March. PG then says he wants a mediation afterwards. Judge says he can have a mediation at any time. PG says my experience suggests that it would be better after the trial. Judge says my only view is to move this group litigation forwards. PG is speaking for himself and DC QC and says a mediation will help the litigation. Judge really doesn’t see why he should wait until after summer - a gap of 6 months between Horizon trial and 3rd trial. Judge clearly wants June 2019 on another lead issue, final resolution on some of the claims or final resolution on test claims. claimant and defendant. Judge has identified 5 June as possible (and I think in his view, preferential) start. He rises. We are back at 10.30am Monday. … what am I talking about - go to postofficetrial.com and put some cash in the paypal tip jar. I’ll put up all the tweets in order on postofficetrial.com and then a full match report later. … as soon as they’re posted up. 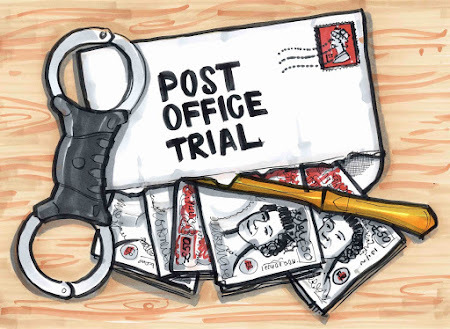 You can get daily emails for free by putting your email into the box on the postofficetrial.com website and please tell people about the live tweets! No court tomorrow - and I’ve got another job on so that it on this story til Monday. ta-ra.